Yes! We've gone monthly, such was the need for more from our readers of Shindig! goodness we can offer you this great deal. 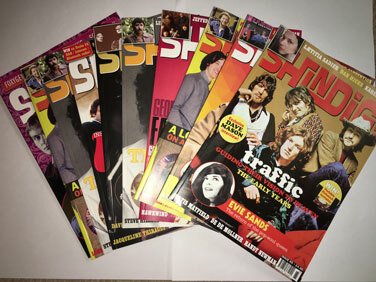 Receive 12 lovingly designed and researched issues of Shindig! Magazine straight to your door! NOTE!!! ****Please state which issue you'd like to start with otherwise your subscription will start with the following month's issue. Yes! We’ve gone monthly, such was the need for more from our readers of Shindig! goodness, we can offer you this great deal. Receive 12 lovingly designed and researched issues of Shindig! Magazine straight to your door! NOTE!!! ****Please state which issue you’d like to start with otherwise your subscription will start with next month’s issue. If you are already a subscriber your contact details will be recognised and your subscription will continue automatically.